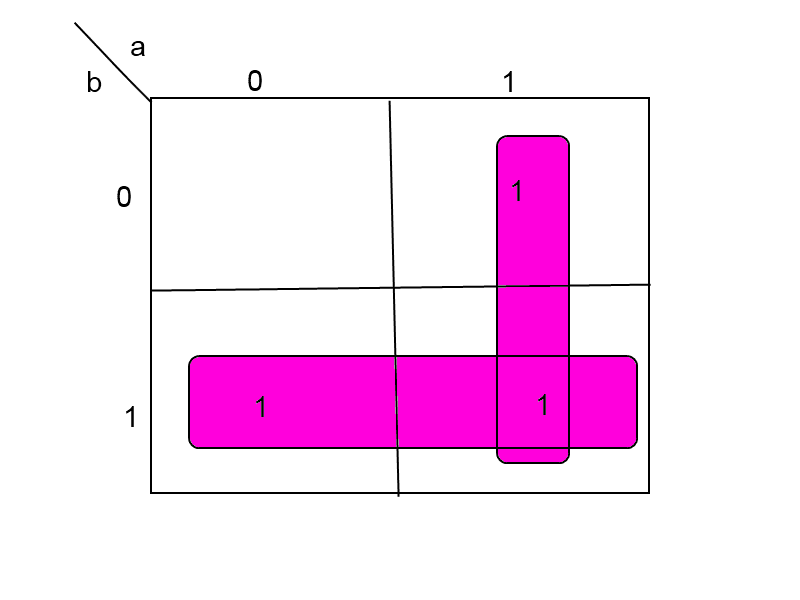 K-Map stands for Karnaugh Map.It is the graphical representation of given expression(Used for simplification of Boolean Algebra).We can construct K-Map using 2 variable,3 variable..so on. So answer will be y=a+b. 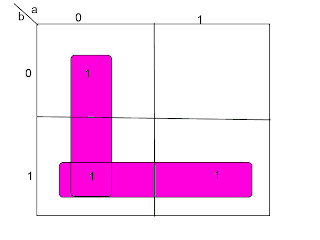 So answer will be y=a'. 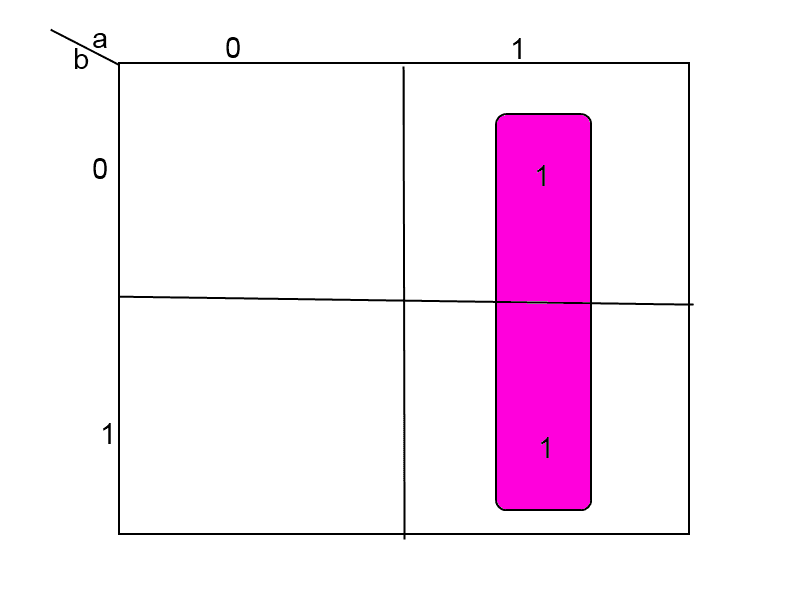 So answer will be y=a. So answer will be y=a'+b. 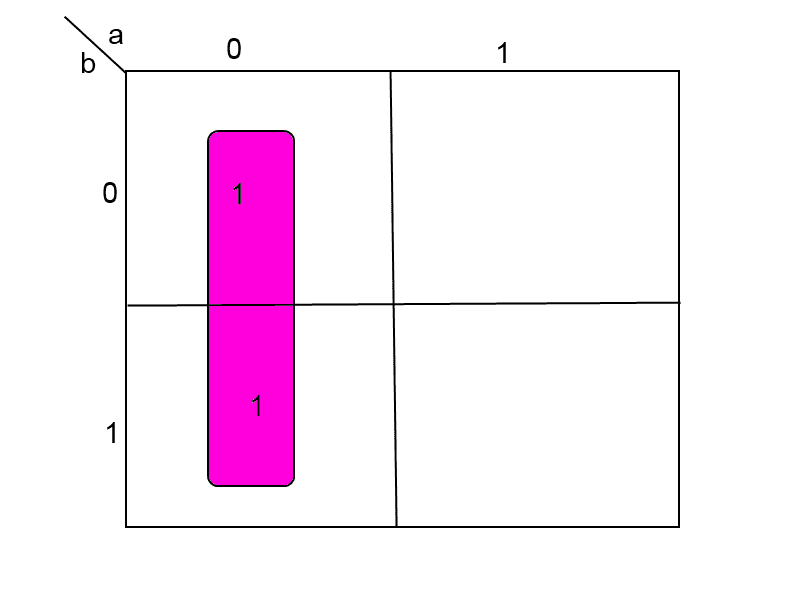 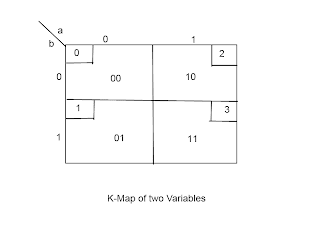 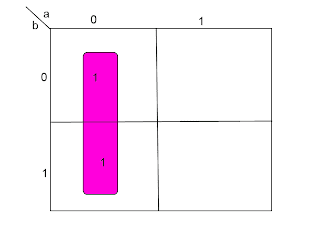 1)Example of 3 variable K-Map. 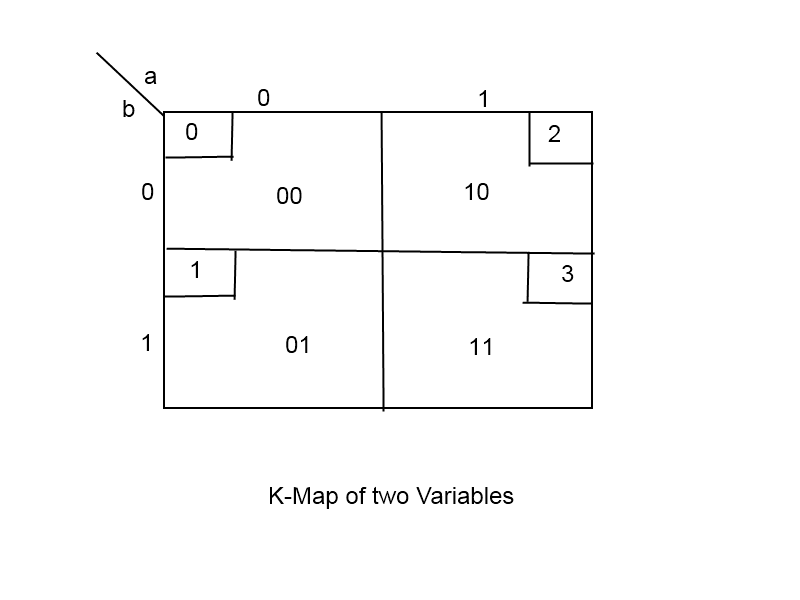 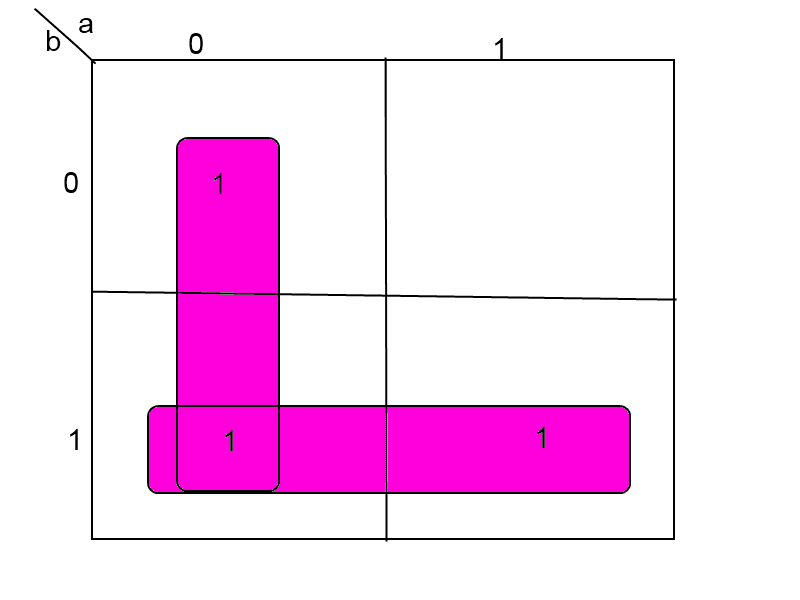 2)Example of 4 Variable K-Map|Don't Care Condition.